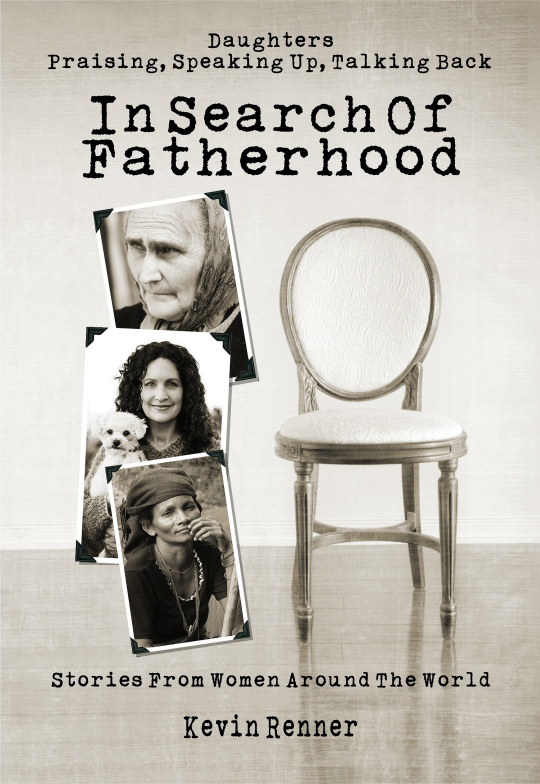 In Search of Fatherhood is a love story—about the love the author feels for his own daughters, about the love every daughter is born to feel for her father, and about the love that those fathers do or don’t provide to their daughters and how that plays out over a daughter’s lifetime. Author Kevin Renner spent more than a year interviewing 50 women from around the world. They shared their life stories and how they were shaped by their fathers’ affection, attention, ambivalence, abandonment, and abuse. Rich and poor; well known and anonymous; lesbian, straight, and transgender, these women included a retired state Supreme Court judge, executives, professional athletes, and former drug addicts. Some have lived lives of abundance and others have been homeless and suicidal. They were from Liberia, Lithuania, Germany, China, Canada, the US, Holland, India, Mexico, and places in between.